(Trent Nelson | The Salt Lake Tribune) Orem's Puka Nacua (12) as Orem faces Mountain Crest in the Class 4A High School State Football Championship game in Salt Lake City, Friday November 17, 2017. Orem High School receiver Puka Nacua will play for Washington, ending an agonizing recruiting process for himself and the college football programs that pursued him. The brother of former BYU safety Kai Nacua and current Utah receiver Samson Nacua announced his choice of schools late Sunday night on KSL-TV. He had postponed his decision from Wednesday, when most remaining prospects signed their letters of intent (college programs had signed two-thirds or more of their 2019 recruiting classes in the December period). Nacua displayed caps from BYU, UCLA, Washington, Oregon, USC and Utah before announcing his pick. The Huskies will visit BYU on Sept. 21 and host Utah on Nov. 2. Nacua is the state's No. 1 prep recruit in 2019, according to the 247Sports composite rankings, and is the No. 22 receiver in the country. He had committed to USC in June and never declared that he was backing off that decision, although he recently visited other schools. Nacua cited his relationship with former USC offensive coordinator Tee Martin when he announced his commitment. Martin initially was replaced by Kliff Kingsbury, who became the head coach of the NFL's Arizona Cardinals, and Graham Harrell recently moved from North Texas to fill the position on coach Clay Helton's staff. 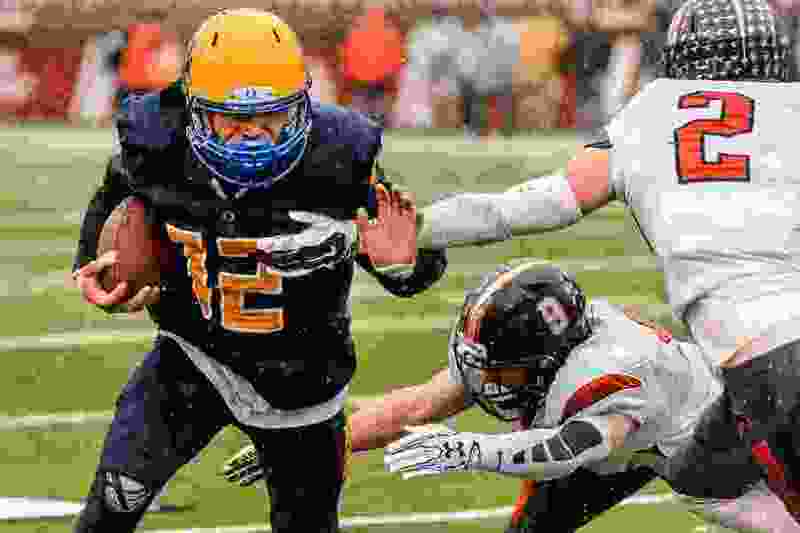 The 6-foot-2, 198-pound receiver was named the Gatorade Player of the Year in Utah in December after catching 103 passes for 2,336 yards and 26 touchdowns in 14 games as a senior, when Orem played an ambitious preseason schedule and won another Class 4A state championship. His career totals were 260 receptions for 5,226 yards and 58 scores. His season and career numbers are state records. As a junior, Nacua was named to the statewide All-Tribune team, regardless of classification.